THE COMPELLING STORY IS AT LAST REVEALED! While the Gilded Age is dominated by figures such as Rockefeller, Carnegie, and Vanderbilt, their wives and daughters often lived behind closed curtains, staying well out of public view everywhere but the society pages. Standard Oil heiress Kate Macy Ladd seems, on the surface, to have followed in this tradition. But a deeper look at her life reveals a woman who was fiercely committed to the welfare of ordinary people, and who ultimately became a medical philanthropist with her creation of the Josiah Macy Jr. Foundation. This organization is well-known today for its commitment to improving the education of healthcare professionals. 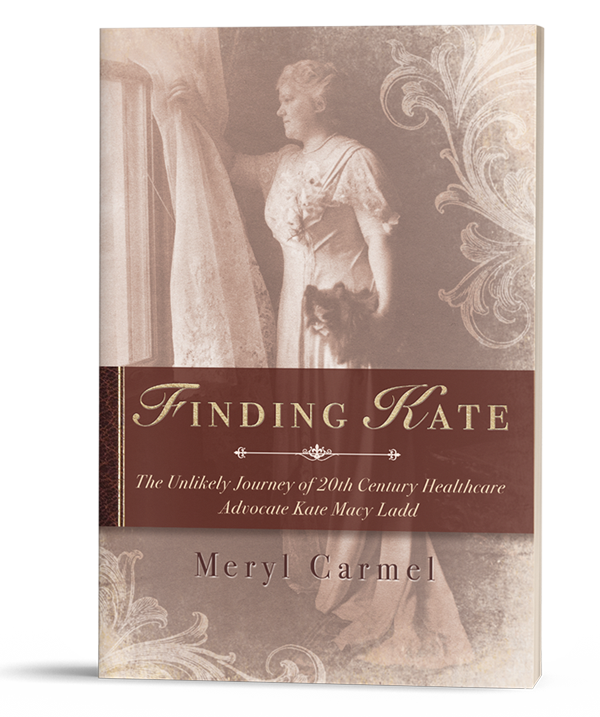 Spanning two centuries and based on her bare-bones memoir as well as family diaries, letters, and reminiscences, Finding Kate: The Unlikely Journey of 20th Century Healthcare Advocate Kate Macy Ladd reveals one woman’s life of faith, charity, and resilience. Meet Meryl at the library’s Local Author Day event and book fair. Take advantage of this opportunity to engage directly with her and learn more about “Finding Kate.” Signed copies of the book will be available for purchase. Coming this spring, Sunday afternoons in the mansion house and grounds at Natirar! Sunday, May 5th 3-4:30 p.m.
Take advantage of the unique opportunity to relax and enjoy the ambiance of Kate’s Natirar mansion house, as Meryl reveals her story through an image rich lecture and conversation about the original owners of Natirar. Sunday, June 2nd 3-4:30 p.m.
Join Meryl and Barry for a walking tour and inside look at Natirar, enhanced through a lecture about the lives of Kate and Walter Graeme Ladd and their magnificent property. 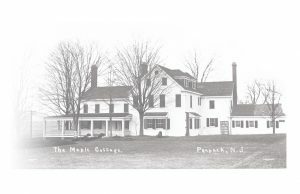 Sunday, June 30th 3-4:30 p.m.
Barry Thomson will present an illustrated talk about the great country estates that were built in the Somerset Hills during the “Country House Era”… the decades from the 1870s to the start of World War II. Meryl and Barry will be available for book signings following each event. Individual event tickets are $40 per person plus tax. A three program package is available for $100 per person plus tax. Say farewell to Women’s History Month with a lecture, book signing, and tea sponsored by the Chester Historical Society. This presentation touches upon Kate’s family and Quaker heritage, her years in New York City during the latter decades of the 19th century, and her life at Natirar with Walter Graeme Ladd her husband of almost fifty years. “Finding Kate” is told through an informative Power Point lecture illustrated with more than fifty slides, featuring family photographs, many well over a century old, from private collections. To register call the Chester Library at 908-879-7612. Take advantage of a unique opportunity to relax and enjoy the ambiance of Kate’s Natirar mansion house, as Meryl reveals her story through an image rich lecture and conversation. A lecture, walking tour, and inside peek at Natirar presented by Meryl and local historian and author Barry Thomson. They will share insights about the Ladds and Natirar and the significance of their magnificent property. Stay tuned for further details and ticketing information.